Astrid Willems How to get Flex? 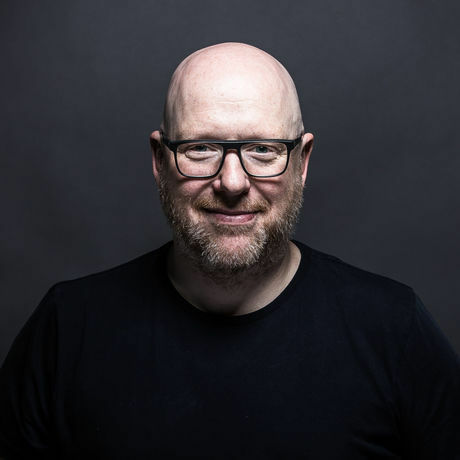 In his insightful and highly energetic talk, improv actor Tobias Rosén shares his best tips on how we all can become geniuses with a little help of some friends and the two magical words ”yes and”. 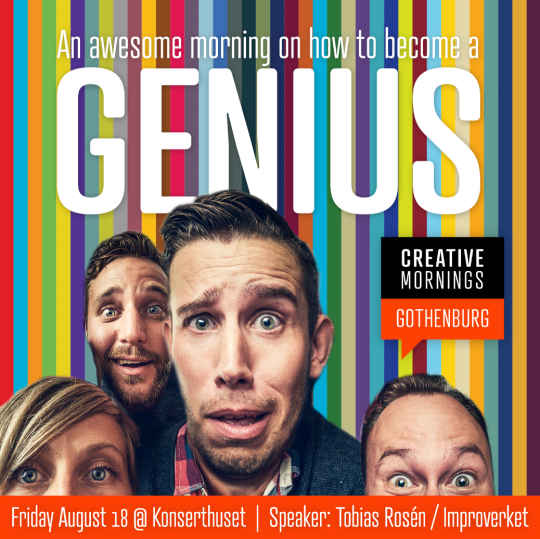 We’re really excited to have Tobias Rosén from Improverket as our speaker on the next CreativeMornings Gothenburg breakfast, August 18. 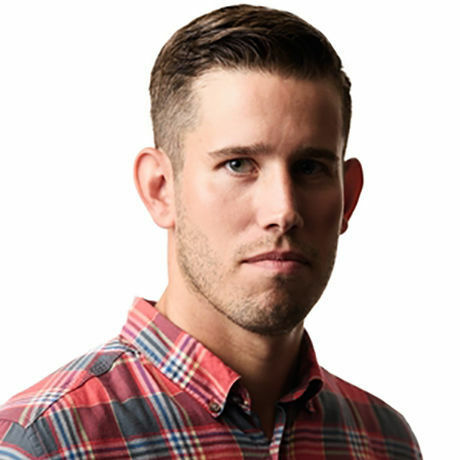 No matter your creative field, we bet Tobias’ talk will have something of interest to you. Improvisation is like a high-pressure cooker for creativity and, as Tobias will tell you, the magic is in the teamwork, so this will also be perfect for getting that collab mindset ready for the fall. Come be inspired on the 18th. It’s gonna be a blast! And hey, there’s free breakfast and coffee! Tickets are always free, but of a strictly limited quantity, and are released on Monday, August 14 at 11:00am sharp. Hint: Set your alarm!